What's an açaí berry bowl? only the best thing. ever. handcrafted açaí berry bowls, pitaya bowls, smoothies & goodness. healthy eats that taste like treats. We believe in looking for good & doing some good. Our Founder is a California transplant (hey, you can get your Colorado Native sticker after 18 years right?) who was inspired to bring superfruit meals in a bowl to Colorado. Berriegood Co. was built from the ground up in Denver. We work our darndest to bring you high quality, nutritious ingredients that are GMO-free and organic whenever possible. 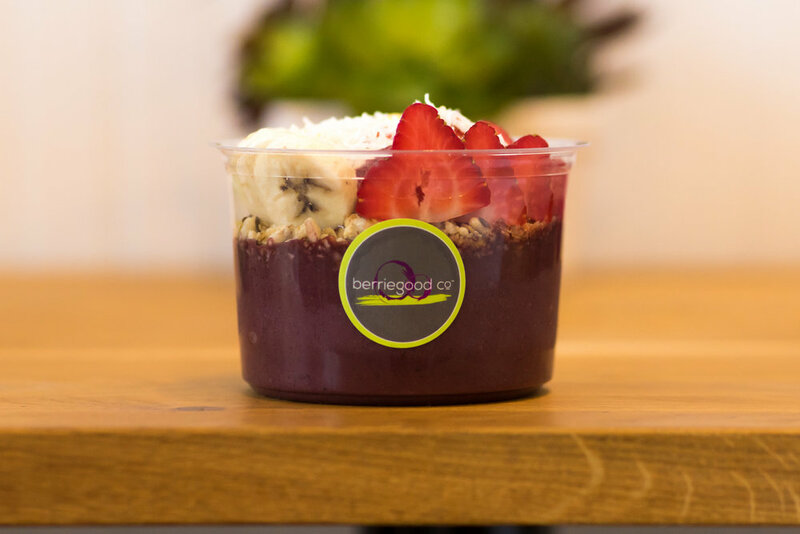 At Berriegood Co.'s core are our açaí berry bowls that originated in Brazil, which are nutritionally packed really, really thick smoothies in a bowl topped with organic hemp seed granola and fresh fruit. We're gluten, vegan, paleo, vegetarian, and kid friendly, too. So take a sigh of relief because we believe in being good, not perfect. Açaí may be hard to pronounce, but its health benefits and tastiness are hard to miss. Açaí is a little berrie from the Amazon that is wildly nutritious. It's a superfruit powerhouse loaded with antioxidants, healthy fats, protein, and fiber. It tastes like mixed berries and dark chocolate (yum) and is naturally low-glycemic. 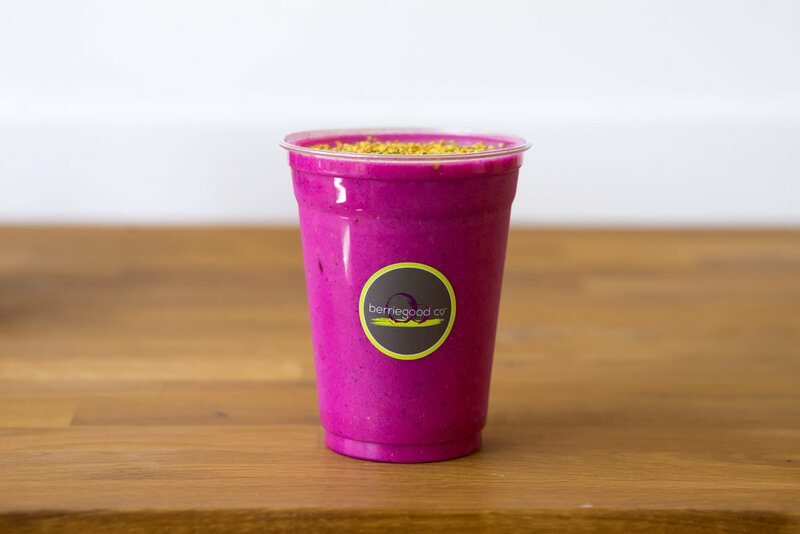 Berriegood Co. handcrafts our bowls and smoothies. Our superfruit bowls are thick smoothie-like bases made of organic açaí pulp, fruits, healthy adders, and plant-based milks. Have them for a meal or snack, there's no wrong time of day to enjoy one. You can go classic with banana, organic hemp seed granola, and a drizzle of honey for sweetness. Or, go crazy with bananas, cacao nibs, and peanut butter. 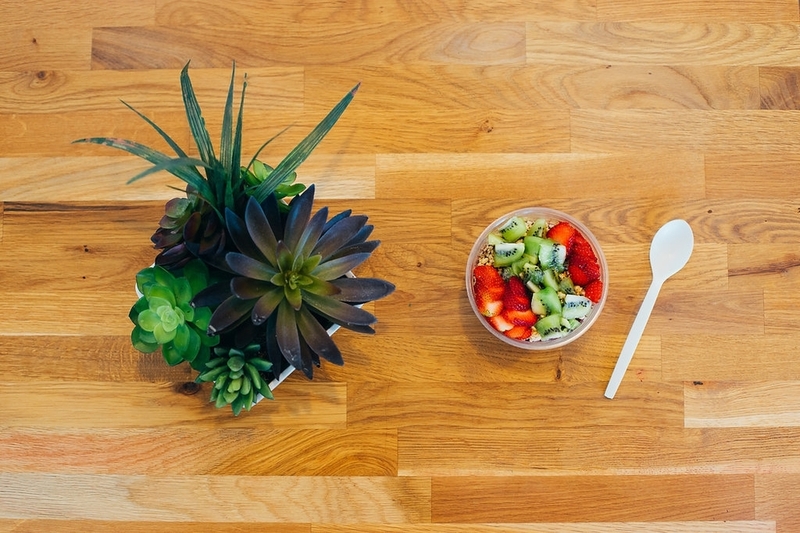 Either way, we'll do the toppings for you with our expertly crafted menu of nutritious bowls and smoothies! tune in. sign up for insider emails. Thanks! Doesn't an açaí bowl sound good right now? We're social too. Follow Berriegood Co. on Twitter and Instagram @berriegoodco. We're located on the ground floor of the Washington Park Station apartments. There is plenty of free street parking to be had by all! © 2018 Berriegood Co., LLC. All rights reserved.